Nature's Way | Northern KY | Success is measured by satisfied customers. 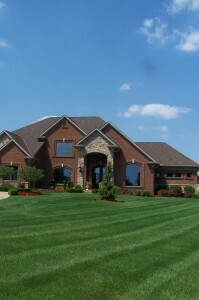 Northern KY | Success is measured by satisfied customers. Want to increase the value of your home? If so, then Nature’s Way Complete Grounds Care is the comapny for you. Our family owned business with a highly trained staff has been creating beautiful landscapes and lush green lawns since 1988. We are committed to customer satisfaction. Hardscapes/paverpatios will define your outdoor space as well as give definition, support, and added dimensions to your landscape/property. The backyard is used for many functions such as entertainment, recreation, and storage. As designers, we develop a design that will support these activities. 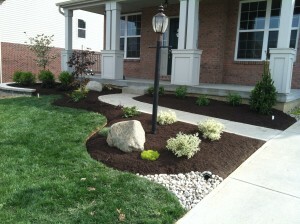 Adding beautiful landscaping provides an absolute guarantee of increasing your property value. Contact us to schedule a free consultation. "Success is measured by satisfied customers." We supply our customers with premium landscape and lawn care. Lines and curvatures emphasize real and imaginary lines. Lines also play an important role in defining the creation of large and small spaces. Bring continuity to your property. 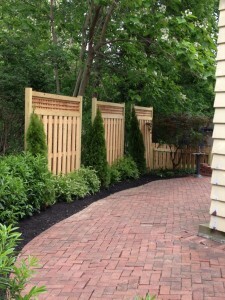 Continuity in landscaping allows the human eye to experience something really complex in simpler terms. It also helps to paint a lasting external picture of your “outdoor room” simplifying and bringing together various naturally obscure shapes of nature such as shrubs, stones and of course flowers. An investment such as a home needs constant care and upkeep to increase value. Our landscape designs will help increase your property value up to 15%.